Thanks to Neutrogena Rainbath for sponsoring this post, all thoughts and opinions are mine. As a mom of 4, I’ve experienced several stages of motherhood; from sleepless nights with fussy newborns to potty training toddlers, from first days of school to riding bikes with no training wheels, each phase has had it’s ups and downs. My oldest child is now a teenager and we’re navigating new subjects like social media, driving lessons, and teen beauty products. 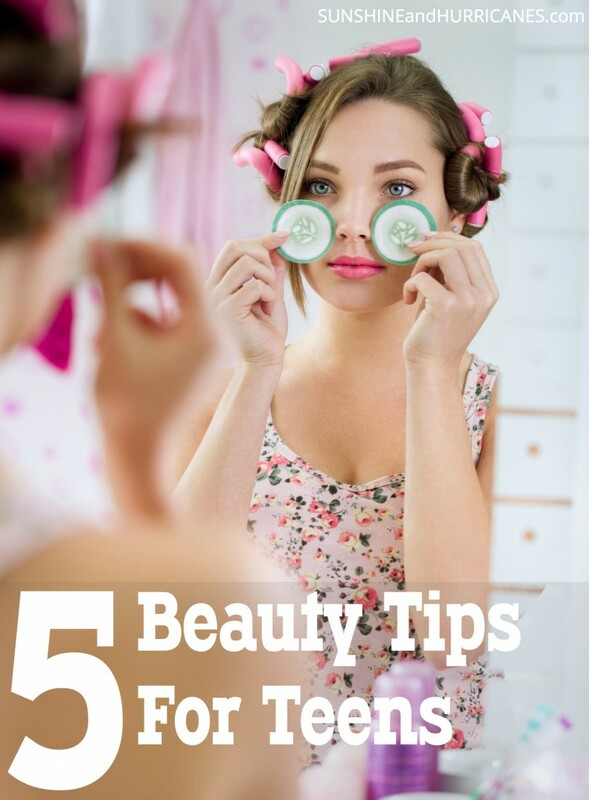 Teaching your teen to care for herself is vital and these 5 Teen Beauty Tips can help you do just that! I love having 3 daughters! Even though only one is currently a teen, we still enjoy our fill of fun, girly, at home spa experiences over here. 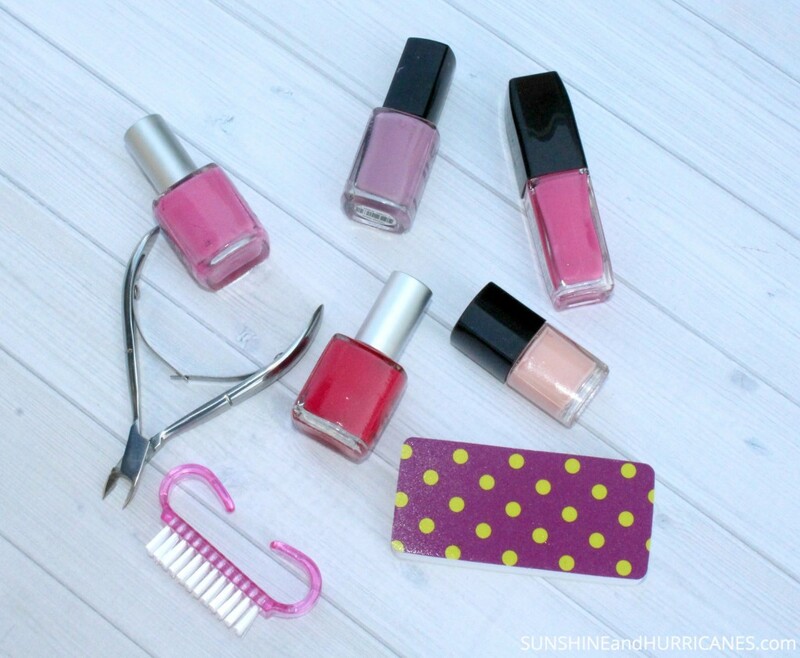 Whether it’s painting nails, trying out new hairstyles, or experimenting with make up, my bathroom is easily transformed into our own little salon and is filled with giggles and smiles as imagination takes over. These times are wonderful bonding experiences but also a fantastic opportunity to share practical teen beauty tips with my girls. My mom was always generous in sharing her beauty tips with my sister & I when we were growing up. In her sixties now, my mom has beautiful skin and attributes it to genetics and her diligence in skincare. No matter what time or how tired she was, my moms always removed her make up and moisturized her skin before bed. I’ll confess, I’m not as consistent and often wind up falling asleep at night before thoroughly cleansing my face. I know better, yet I’ll admit that self care isn’t one of my strong suits. But with 3 daughters watching my actions and not just listening to my words, I’ve resolved to do better with self care, starting with a few simple changes, like removing my make up earlier in the evening before I’m too exhausted and forget. 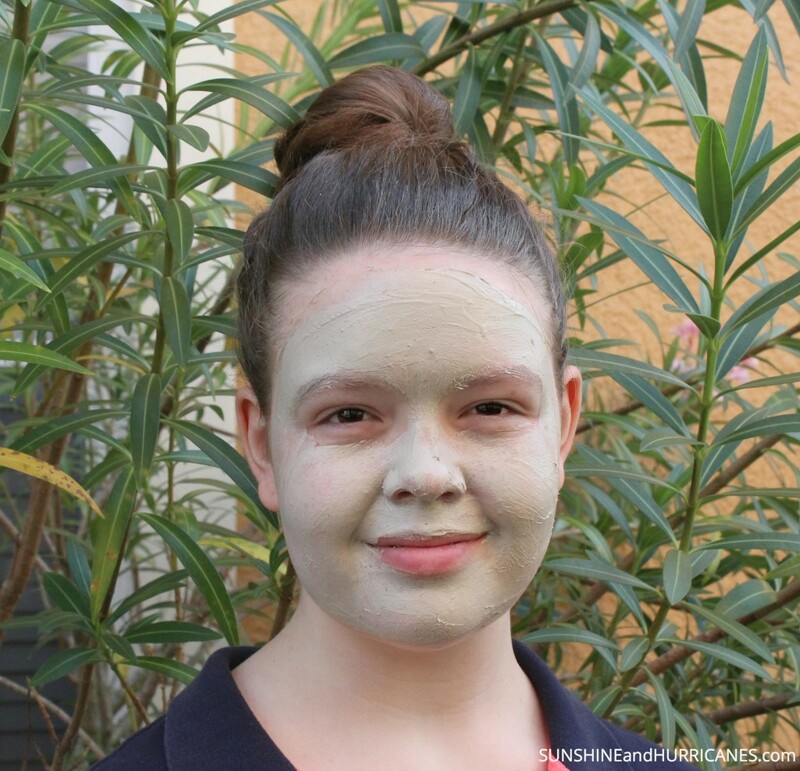 This is my first Teen Beauty Tip: skincare. It seems simple but helping your teen find a cleanser and moisturizer that is suited to her skin type is one of the best things in helping prevent acne. Even if your daughter doesn’t wear make up, she still needs to wash her face at least twice a day to remove dirt, grime, and oil. If she’s spending a lot of time outdoors, she definitely needs a daily sunscreen to protect her face from the sun, too. Creating a consistent routine, like keeping the skin care products near her toothbrush and toothpaste will help her to remember her skin care when she’s doing something that is already part of her daily schedule. 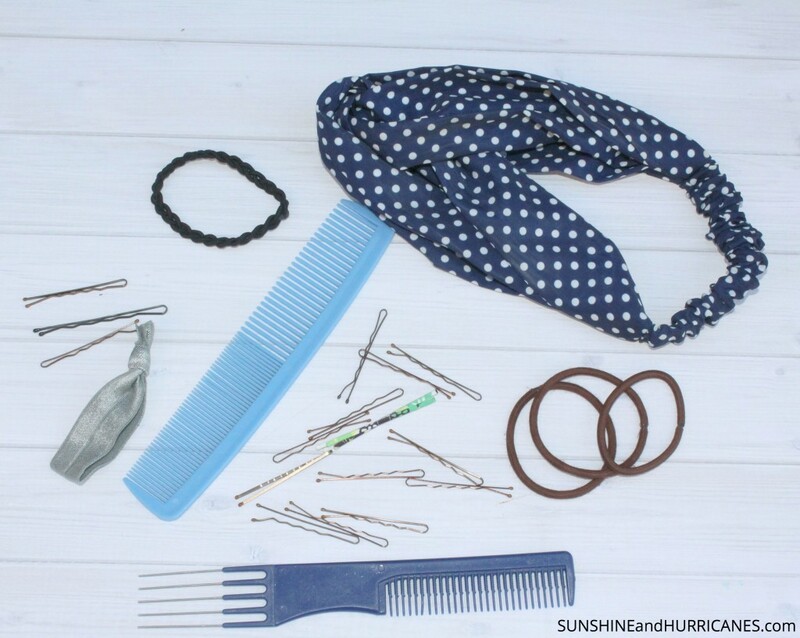 Hygiene can be a challenge during the teen years. My daughter was in the camp of wanting to smell nice and took ownership of her personal grooming easily but many other moms have confided in me that was not always the case for their daughters. My daughter absolutely loves Neutrogena Rainbath and I love that this fabulous product not only cleanses skin but also conditions it! The rich lather is a luxurious treat and is even thick enough to shave with, it’s great to have a product that can take care of two jobs! The fresh, clean scent makes Neutrogena Rainbath perfect for anyone; the spicy herb and fruit smell isn’t overpowering or too feminine. I love this product for teens because it rinses clean, leaving no residue on the skin that could cause further acne outbreaks. (oil) already and those products can weigh the hair down and give a dirty appearance to clean hair. Gone are the days of mom & dad clipping nails, be sure to take the time and show your teen how to cut finger and toenails.Many teens experience painful ingrown toenails caused by improper nail care and can lead to costly medical procedures and even minor surgery. Explain about cutting hangnails, not just ripping them off, to avoid infections and encourage them to take a couple minutes to remove any dirt under their nails, too. We do a lot of eating with our hands so clean nails aren’t just for aesthetics, it’s a matter of good hygiene. 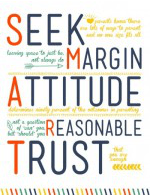 I alluded to my shortcoming in this area above and I’m trying to instill in my children the value of this. Self care is all about intentionally ensuring you’re focused on your needs with the goal of staying healthy in mind, body, and soul. Taking care of yourself is not a luxury but a necessity. Eating & sleeping properly, spending time on a hobby, and allowing yourself to “be” instead of “do” all the time are just a few ways to invest in yourself. Although it can be a noble goal to constantly place other’s above your own well being, if you’re run down and exhausted, you will burn out and be unable to help anyone, including yourself. By learning to live in a healthy way, teens put themselves on a path for greater success. Enter to win a pack of Neutrogena Rainbath & Rapid Wrinkle Repair goodies! Giveaway will include four Rainbath Shower & Bath Gels (one of each yummy fragrance! ), and the Rapid Wrinkle Repair Collection (Rapid Wrinkle Repair® Serum, Rapid Wrinkle Repair® Eye Cream, Rapid Wrinkle Repair® Night Moisturizer and Rapid Wrinkle Repair® Moisturizer Broad Spectrum SPF 30). We’re giving away 10 packs (approximate retail value of $120 each). View Rafflecopter below to see how you can to enter to win! We’ve got great information for teens and their parents, like The Worst Apps For Kids, and The Best Homework Apps For Teens! This is a sponsored post written by me on behalf of Neutrogena Rainbath. What awesome tips!!!!! I just love nuetrogina products!!! They were all I used when I was a teen! Self-care is so important, especially in teens that are developing what they value in themselves and gripping with expectations put on them. Thanks for sharing this reminder. Skincare is one of the most important things you can do! I know I wished I had started taking care of my skin more when I was younger. So much yes to the last tip! Self care is so important and I wish I had been taught more about that when I was a teen! The one tip that my mom has always stressed to me is to stay out of the sun. I loved the Neutrogena products when I was in my teens, and now when I am in my 30’s I still love them! My daughters are athletes and while they don’t wear make-up, they need to really keep their face and body clean. The sweat and grime can do a number on them. Even my younger one, who is only 11. We love Neutrogena because the ingredients are super for sensation skin. Your daughter is lovely! What a sweetie! It’s so important for teenagers to pick up good hygiene habits when they are young that will last them a lifetime. I think good skin care is definitely at the top of the list. My daughter is a minimalist when it comes to skin care and make up. Her friends on the other hand spend hours and tons of money on beauty products and would never go out in public without makeup. Definitely a helpful list 🙂 My son is only 5 but man, he has the dirtiest fingernails sometimes. We’re careful to wash up before dinner, every night. It’s great to start these habits early! 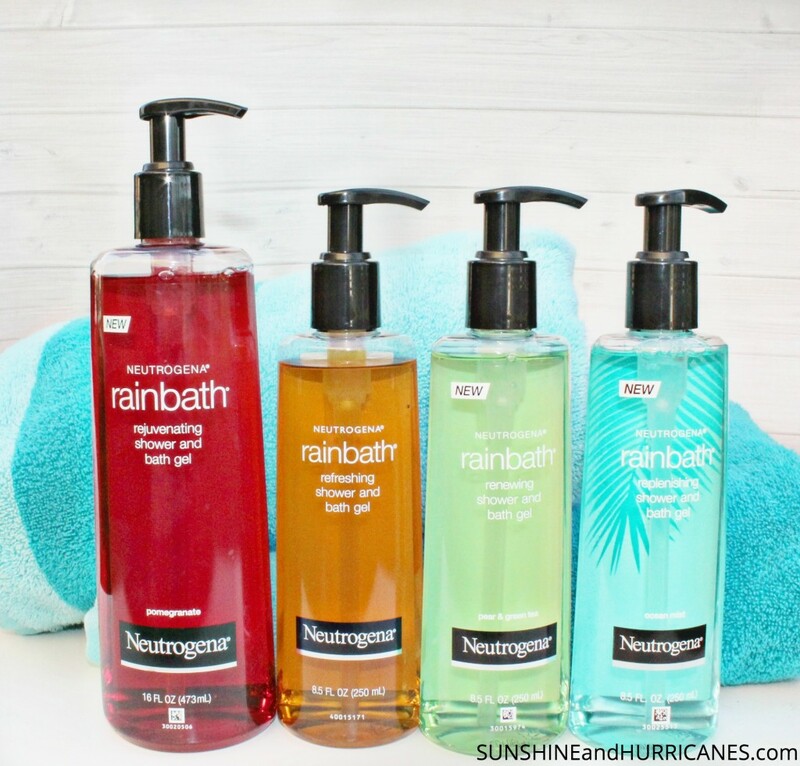 And, I had no idea Neutrogena was introducing new rainbath fragrances. How exciting! Yes! Take care of your skin now…you’ll be happy in your 30s you did! Great list and great giveaway! Entered! I like to keep it simple when it comes to skincare. I dont like too many things being used, I would much rather find a few that work and stick with them. I had terrible skin as a teenager, luckily I have an awesome mom who was super on top of it so I didn’t scar. I wish I would have taken better care of my hair back in the day. The late 80s/90s were not kind to hair. Too much product is never needed. Great post, Michelle. As the mother of five (plus a bonus) girls, I’ve had my share of skin-care conversations. It is part of a bigger self-care conversation that is so very important for young girls to internalize. All this is so important for girls coming to their own. I think developing good skincare early on will save every women a lot of frustrations. Love this! My mom taught me the importance of skin care routines and sunscreen at an early age. Today most people do a double take when I tell them how old I am. I love bath products that come with a pump! I have two teenage boys and while we don’t have to worry about hair and nails too much, skin care is sometimes a battle. I use a tinted moisturizer to hide those lines, a purifying clay mask, that deeply cleanses, and also I use a sunscreen no less than SPF 55 on my skin. This is a fabulous post that all teachers of Middle School kids should share! 🙂 Thanks for being so up front but kind about this part of growing up. I am an all boy mom, so as long as they remember to shower and put on deodorant, the world is definitely a better place.